What I recalled in building the tiny house was that it didn’t occur to me to install the siding to face the wind until the third or fourth row on the first side. That’s why there was flapping. That’s the kind of lesson learned I’m putting into the ebook. It might be worth thinking about adding more robust bumpers on the front corners for transport in the future. 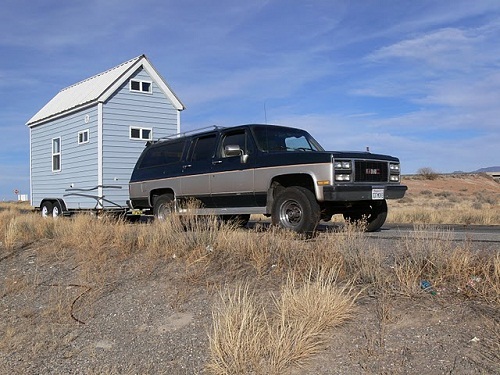 This entry was posted in Planning and tagged tiny house moving. Bookmark the permalink. The buyer clarified that it was a construction barrel rather than a cone. I guess that makes more sense. Sandia, excellent. Glad to hear it worked out. 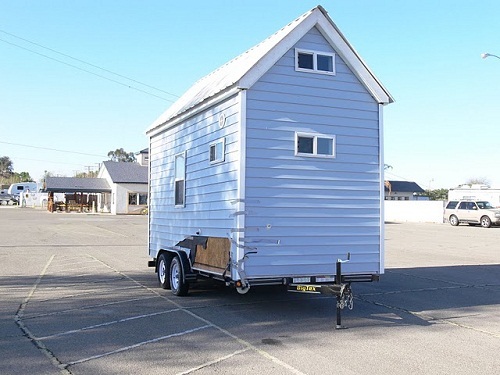 Hi, Sorry you took a loss on your first tiny house. Are you interested in being paid to build another? I have been trying to find someone willing to build a tiny house for me, (with much luck), as I am a nurse and really dont have the time or the skills to build one by myself. Please let me know. I am quite sorry to have missed your tiny house on ebay! Erica, I’m going to be releasing a video workshop in the next day or two. 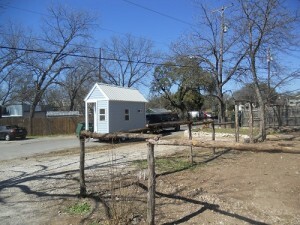 Any contractor or probably even a handy man could build one for you with that information. It also has a lot of design info I’d review before settling on a plan. The biggest issue I had with building one was the work space. If you already have space to store supplies and land to build then the hard part is done.